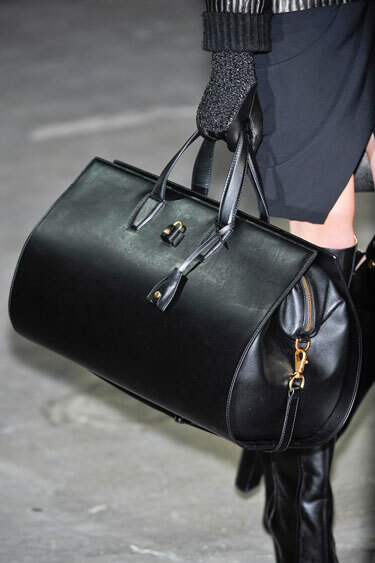 A great handbag can become a woman's best friend. It hauls everything you need for an entire day. Sizes range from the tiniest of clutches to the large bags that could double as overnight or weekenders. Large purses continue to be popular with women for their might and ability to become a conversation piece. Find them in a range of sizes, shapes and colors. Neutrals mixed with black were seen on runways like BCBG Max Azria. Bright colors continue to make a splash in the handbag department with bright oranges, greens and even patterns for fall. BCBG Max Azria Fall 2012 purses.